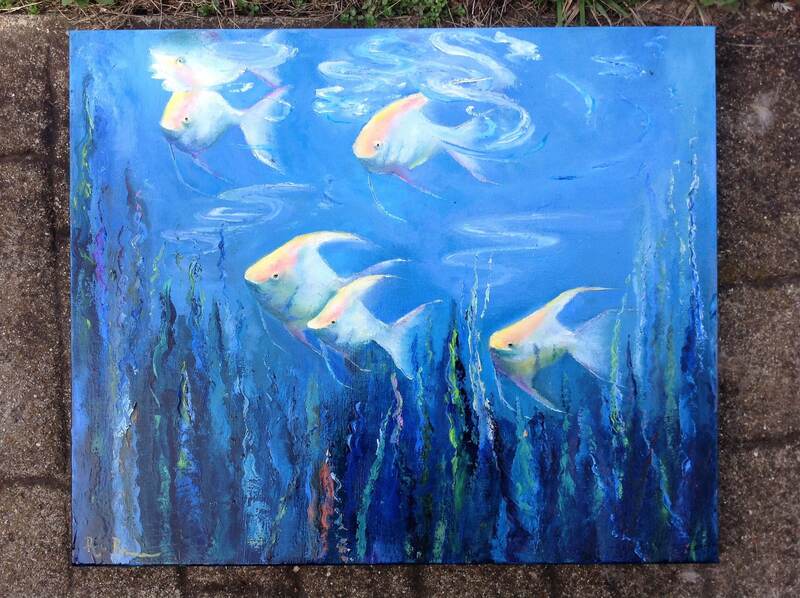 FRENCH ANGEL FISH is an original 20" x 24" Gallery wrapped oil painting. This is an incredible painting! 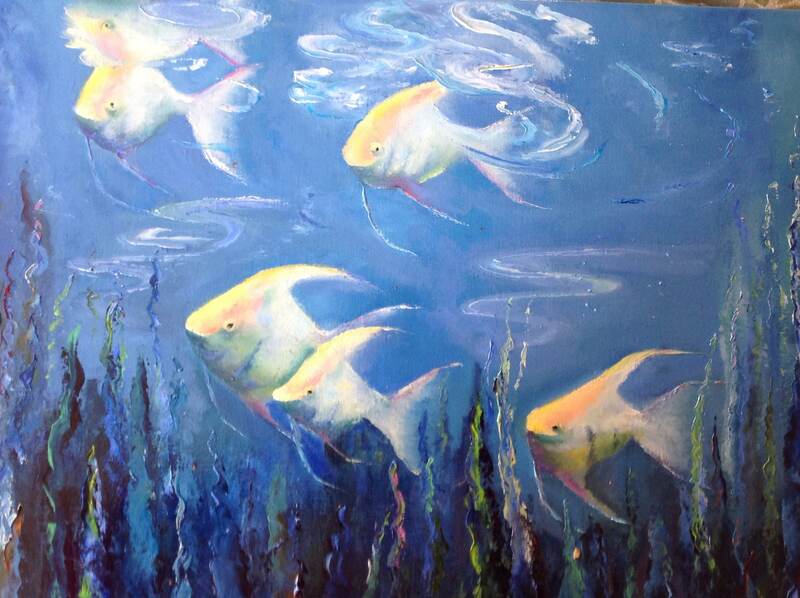 It is a school of angel fish swimming among the water plants. 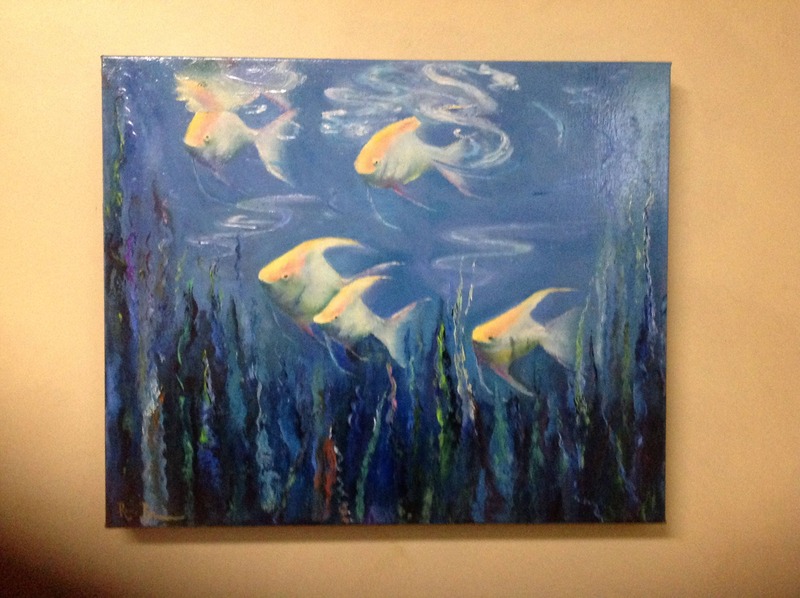 The painting is done in thick, impasto paint and the colors are deep and vivid. 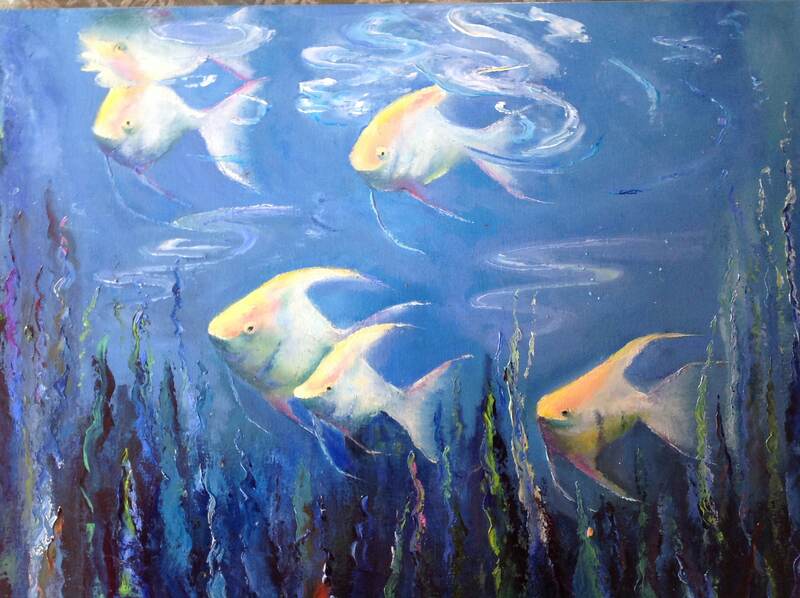 This is an amazing painting that would light up any room you put it in. 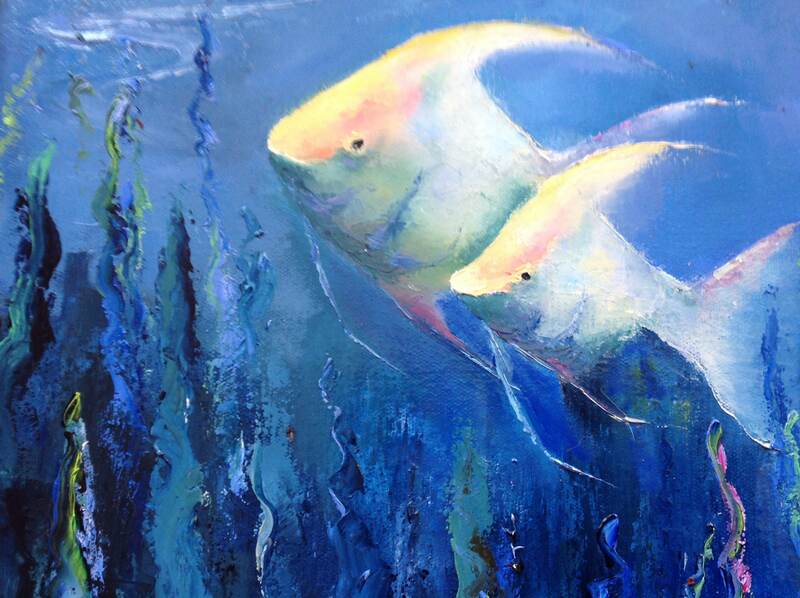 The fish are in various shades of ivory and yellows and have funny expressions on their faces. The painting canvas is called a Gallery Wrap. This means it is 2" deep and painted all around, so no frame is needed. 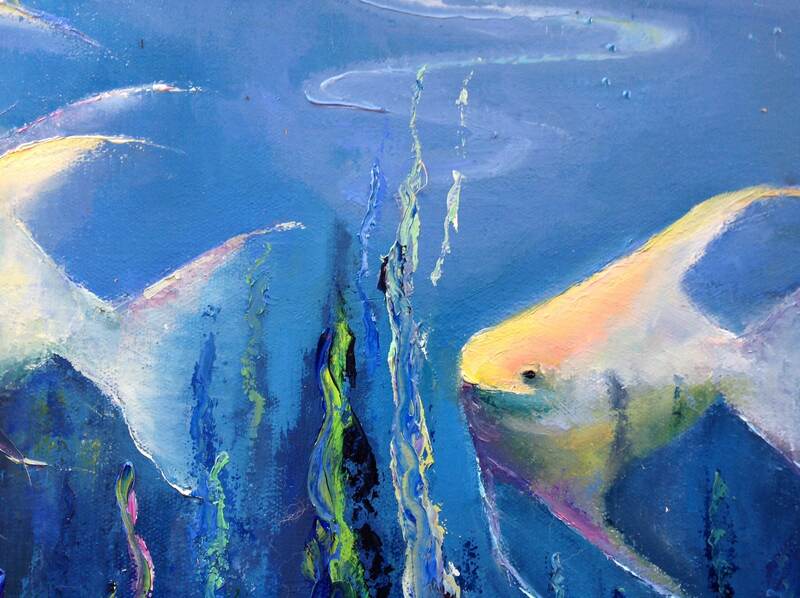 There is an impressionistic feel to the whole painting, which is very pleasing. The paint is applied with bold strokes and the colors are muted.